Your cat will love the purr-fect meal awaiting her when you pop open a can of PetGuard Fish, Chicken & Liver Dinner. This first-class recipe provides your kitty with the important nutrients she needs without using the filler ingredients she doesn't. It's made with real mackerel, chicken, chicken liver and salmon—plus, healthy ingredients like rice and kelp. You won't find any animal by-products, artificial flavors, colors, preservatives, sweeteners or sugar! Instead, PetGuard recipes are packed with vitamins, chelated minerals and omega fatty acids. These necessary ingredients help to support your kitty's healthy heart, liver, skin and coat, nourishing her whole body with the goodness she needs. Best of all, the family behind PetGuard has been putting your pets' health first since 1979, and makes this tasty recipe here in the USA. Featuring real mackerel, chicken, ocean fish and salmon for high-quality protein you can trust. Completely free of by-products, carrageenan, corn, gluten, soy, tuna, wheat, artificial flavoring, artificial preservatives, artificial colors, added sugars or sweeteners. Made with ethically sourced ingredients, which means that every step to your kitty's bowl followed kind, sustainable procedures. 100% nutritionally complete and balanced, with chelated vitamins and minerals that support your feline's overall health. Made in the USA by a family-owned company that's been making natural pet food since 1979. Chicken Broth, Mackerel, Chicken, Chicken Liver, Ocean Fish, Salmon, Rice Flour, Brewers Dried Yeast, Guar Gum, Potassium Chloride, Dried Kelp, Choline Chloride, Sunflower Oil, Dl-Methionine, Taurine, Yucca Schidigera Extract, Zinc Amino Chelate, Iron Amino Acid Chelate, Vitamin E Supplement, Niacin, Copper Amino Acid Chelate, Manganese Amino Acid Chelate, D-Calcium Pantothenate, Thiamine Mononitrate (Vitamin B1), Vitamin A Supplement, Sodium Selenite, Riboflavin Supplement (Vitamin B2), Pyridoxine Hydrochloride (Vitamin B6), Ergocalciferol (Source Of Vitamin D2), Vitamin B12 Supplement, Calcium Iodate, Biotin, Cobalt Amino Acid Chelate, Folic Acid, Inositol. The exact feeding instructions will vary upon your cat's size, age, activity and environmental conditions. If ever in doubt, consult your veterinarian. Feed at room temperature and refrigerate unused portion. Fresh drinking water should be available at all times. Slowly transition your pet by mixing the new entrée or recipe with your cat's current entrée or recipe over 5-7 days. Continously increase the amount of PetGuard food while decreasing the amount in your cat's current diet. Once the transition is complete, you can rotate between our entree's and dinners without a transition period, unless your cat has a certain sensitivity. My pets have allergies, can I feed them PetGuard? Proteins and chemicals in foods can cause reactions in pets. Also, airborne substances such as pollen, dust, mold and contact with paints, plastics, soaps and even grass can cause allergic reactions. PetGuard is free of chemical additives and preservatives and has created a variety of foods with varying sources of protein to accommodate the tastes and sensitivities of our animal companions. My cat has urinary tract problems. Can I feed her PetGuard products? The importance of urinary tract health is highly understated in this country. While PetGuard does not have a prescription diet or claim to cure an infection or blockage, we do formulate our products to produce an acidic urine (pH) and contain the essential amino acids (taurine and dl methionine) to help in the prevention of these problems. In all concerns regarding health matters, your veterinarian is the first and best source for treating any illness. Why doesn't PetGuard state that 'Human Grade Ingredients' are used in your products? According to the USDA and FDA, it is illegal to use or promote the use of the verbiage ""human grade ingredients"" because there is no legal term as "human grade". PetGuard uses ingredients that we would eat ourselves. The best ingredients that PetGuard uses in the foods we bring to your pets are the result of 25 years of working with our suppliers and careful monitoring of the quality demanded for products manufactured to our specifications. Animal by-products include such things as feathers, fur, tendons, hooves and beaks. There are no by-products in any PetGuard product. Do you use GMO's in your foods? GMO's (genetically modified organisms) are not used in PetGuard products. What preservatives are used in PetGuard products? PetGuard dry foods are preserved with mixed tocopherols and vitamins C and E. These natural preservatives serve 2 functions: they prevent the food from spoiling and they scavenge free radicals which are known to cause cell damage. Ester-C is calcium ascorbate that is used to deliver Vitamin C. It is metabolized very easily in the body so the vitamin is absorbed into the cells of the body. The strong antioxidant effect prevents cell damage from free radicals. How do you judge the quality of the beef that you purchase to produce your products? PetGuard uses Coleman Natural Beef in its beef products. The Coleman name is synonymous with beef that was raised with NO hormones, NO antibiotics, NO steroids and beef that was NEVER fed animal by- products. Why does the color and texture of your products change from time to time? Because we use only all natural ingredients in our formulas, the finished products may vary slightly in color or texture. Remember, there are no fillers, artificial colors or flavors in PetGuard foods to assure that every product would look exactly like the one before it. Explain what are organic foods and why are your products better. Unlike many foods produced today, organic foods are grown without pesticides or harmful chemical fertilizers. Organic foods do not contain artificial products of any kind. For example, Coleman Beef, which is used exclusively by PetGuard in all its beef dinners, are cattle raised from birth without artificial hormones or antibiotics. The chicken used in PetGuard chicken dinners is USDA hormone-free poultry. Every PetGuard product is prepared from wholesome ingredients including fresh vegetables and whole grains, complete with fiber and nutrients to offer your pet companion a flavorful, highly digestible food free of artificial ingredients and by-products. Just good wholesome food. All PetGuard products, including all PetGuard supplements, have an expiration date printed on the label or the can. Just like with foods that humans consume, to take advantage of maximum freshness, products should be used in a timely manner. You want to give your cat the nutrition she needs to feel her best, and she wants to dine on whatever tastes best. That's why PetGuard chooses only the freshest ingredients to create meals that aren't just tasty—they're good for her, too. Each delectable entree is rich in vitamins, chelated minerals, taurine and omega fatty acids, plus bursting with the flavors she loves. It's a win-win! PetGuard strives to make the best food possible with the best ingredients possible. They source responsibly, using antibiotic-free, hormone-free and free-range beef, plus cage-free chicken, turkey and fresh ocean fish. That's a lot of the word "free," but that's because PetGuard doesn't subscribe to the normal pet food philosophy. They're paving their own, pure path to tastiness. Every cat has different needs, but with a wide assortment of recipes, PetGuard has the paw-fect meal for everyone. Their Premium Kitten & Cat formula provides balanced nutrition for felines of all ages, for example, while other, special formulas are designed for kitties with special diets. From weight management to gluten-free options, you're sure to find a flavor she'll love that offers the targeted nutrition she needs. PetGuard is seriously committed to the health of pets. So, you won't find any artificial ingredients, colors, preservatives or flavorings in their meals—	no added sugars, salt or rendered animal fats, either. Instead, you'll find a perfect balance of protein, fat, and carbs. Every meal is made with wholesome ingredients you can be proud to feed your best friend every day. 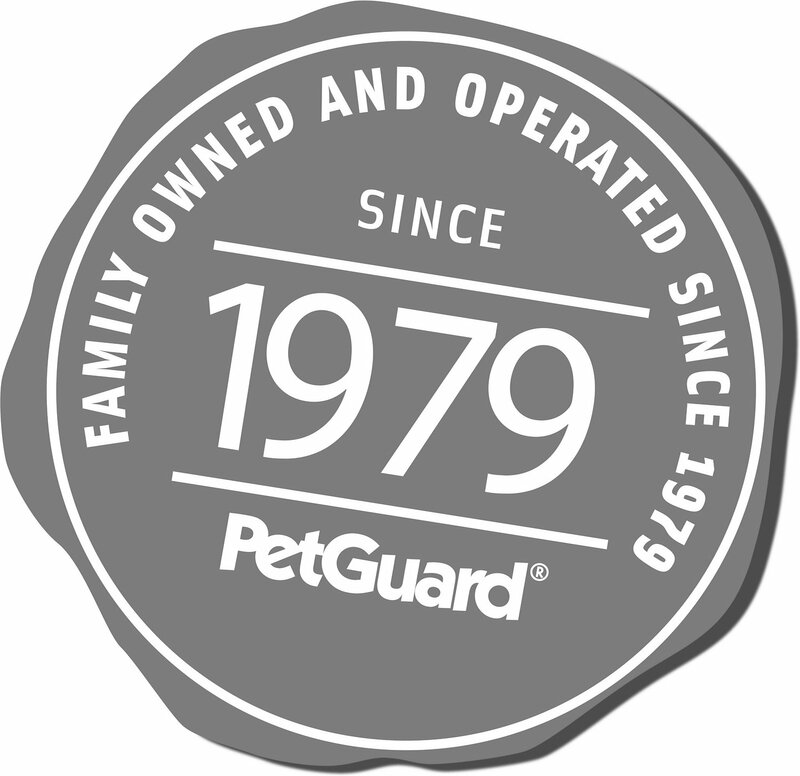 In 1979, PetGuard started in a natural grocery store, dedicated to customers concerned about nutrition, health and minimizing the number of chemicals in pet food. Many pet parents were—and still are—looking for safe, natural products that promote the health of pets. That's why the ingredients used in their products are the same as the ones you'd see on your dinner table. Their philosophy embodies a commitment to pets and a resolution to provide natural alternatives for a healthier life. I recently adopted my cat a few months ago, and noticed he was super picky with his wet food and normally would only eat the dry. I was sick of wasting food, so after trying a can of this, I was super excited that he actually liked it! Since then I have switched him to the Petguard dry food too and he loves them both. Definitely would recommend! We have 10 inside cats. The first couple cans everyone love it but then I guess they got bored? Now they take a few bites and walk away. 10 cats won't finish the can. Most of it gets eaten by the 2 youngest kittens. When it comes to canned food our cats are usually not THAT picky! Our finicky cats seem to love Petguard since we tried it a while back. Used to dump out as much of what they ate but not with Petguard. Fish chicken liver seems to be their fav but they like the Seafood one too. The cats seem to enjoy the food but two of the cans were dented. This could be a problem if the dent creates a tiny hole(s) and bacteria enters. Not expensive and the Cat loves it. I mix it with his dry kibble too . Purrsonally, I think it's stinky, but the cats love it. :) I don't like that it has guar gum in it, but overall it's a good food and I feel comfortable feeding it to my cats. I make a raw meat mix for them as well, so this is like dessert to them. They like it, I like that they like it, so everyone is happy. Quality food that everyone likes! I have 10 cats ranging in age from 5 to 18 and finding a quality food that everyone likes has been almost impossible -- until now. I was not familiar with the PetGuard brand but after reading very positive reviews, decided to give it a try. WOW! 10 out of 10 cats approve the Fish, Chicken & Liver Dinner and the Turkey and Rice dinner. I've ordered several other flavors to try! We love PetGuard. This and the Savory Seafood is their favorite of the can food. All of our 5 cats coats and overall health has improved greatly since using this product. Even our shelter boy, whose hair once was so rough it was like petting a porcupine, now has beautiful silky soft fur. We use the dry and a treat of wet in the evenings. Cats really loved this brand in another flavor & I love that they are cruelty free but cats would not eat this kind.